This month's program is a simple game of Golf. Although not overly exciting, it does show off a few ZX81 BASIC features. One oddity of the ZX81 is that π (pi) is built in, something I haven't seen in other languages. In this case, it is used to calculate the direction of the golf ball. I also used the PLOT and UNPLOT commands in this program, something I generally avoided due to speed constraints. Although ZX81 BASIC didn�t have an ELSE or SWITCH or the ability to execute multiple lines of code within an IF statement, it did however understand boolean logic. You would get 1 if true, and 0 if false. The lines above are using this to validate if the ball is out of bounds and, if so, ensure it stays on the screen. 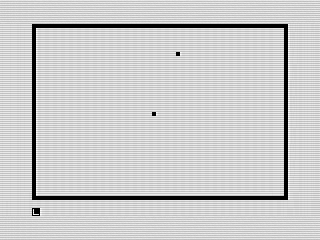 The A1<1 for instance would return 1 if the ball was less than 1, keeping it on the border. Otherwise, it is 0. This is added to the next check, (62 AND A1>62). Now, in this case, if a constant or variable is passed, it returns that number. That is if A1>62, then it returns 62. Neat, huh? The last part returns the value of A1 if it is inside the bounds. This use of boolean can be used in anywhere a number can be. 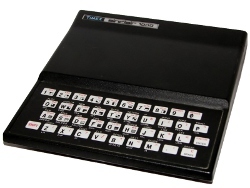 Although simple in many ways, ZX81 BASIC offered some unique features that more advanced languages lack. Until next month, keep programing!